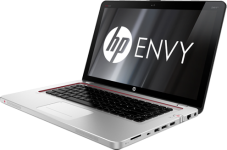 By obtaining additional HP-Compaq Laptop Memory you are saving time, money and helping the environment! Why bin your treasured computer when it has so much life still left in it? If your machine is slow and sluggish, give it a boost by upgrading the memory. At Offtek we have many clients that regularly upgrade the memory on their hardware by purchasing the appropriate component from us. Whatever product you use, simply choose from our vast range of items on sale and get your laptop up to speed once again. Your laptop is important to you and you need it to work well – make it better today.